A boost for your business and your bottom line. 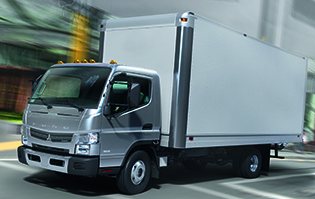 The Canter FE 130 will change the way you think about moving your company forward. 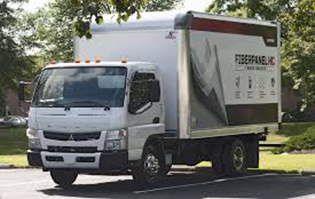 Its cost-of-ownership is so low you can measure it by the mile—in dramatically improved fuel economy, service intervals, payload capacity and driver productivity. Its fuel-injected diesel engine and automated manual transmission set new benchmarks for efficiency and driving ease. They’re backed by our industry-best 5-Year/175,000-Mile powertrain limited warranty. The Canter FE130. It’s just the boost your business needs. Some cabovers in its class have frontal-area restrictions, which means they can’t be outfitted with full-width truck bodies. 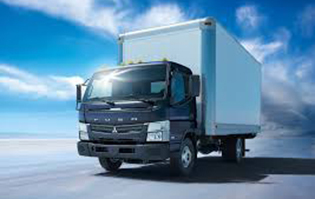 But the Canter can, handling virtually any standard body style from 10 to 20 feet long. Something to think about if you move bulky cargos like furniture. And all Canter models, including the FE130, feature standard impact-absorbing steering column and side-door crush bars to better protect occupants and ensure greater peace of mind under all driving conditions. The best part is the FE130 comes with a 5-Year Powertrain warranty.